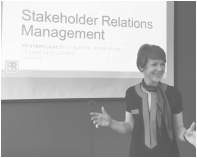 Di Burton is an international specialist offering strategic advice on Internal Communications, Change Management, Employee Engagement & Stakeholder Relations at the highest level. Originally from South Africa, Di has spent the past thirty years working in public relations and communication. 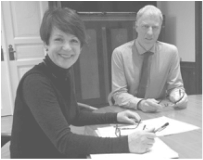 She operates at board level across government, private and voluntary sectors. 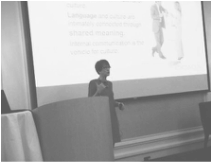 Her experience includes transforming organisations through cultural change and working with leaders on communication techniques. Di conducts reputation audits, provides strategic advice and communications strategies designed to help organisations reach their goals by getting their people on side. She is in great demand for her facilitation skills with senior management teams, with tailored workshops for in-house marcomms teams, and for her mentoring of senior communication professionals. Di is a preferred supplier to the European Commission. 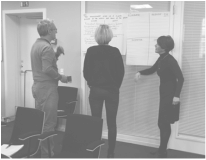 In addition to consultancy work, Di also facilitates workshops and speaks at conferences for a range of organisations . ​Please contact Di if you would like to discuss any of the above topics, or if you would like a bespoke workshop, consultancy, management team facilitation or a conference speech.